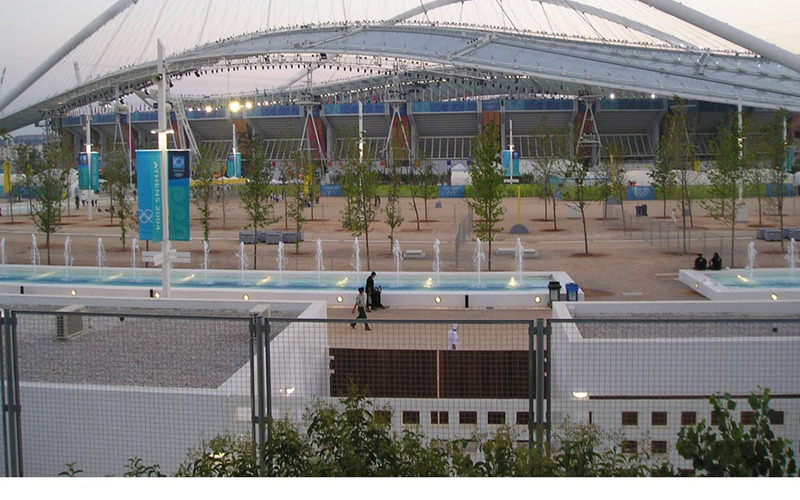 The Project "Aesthetic Integration of the Athens Olympic Sports Complex (OAKA) " was the main Olympic complex in Athens. 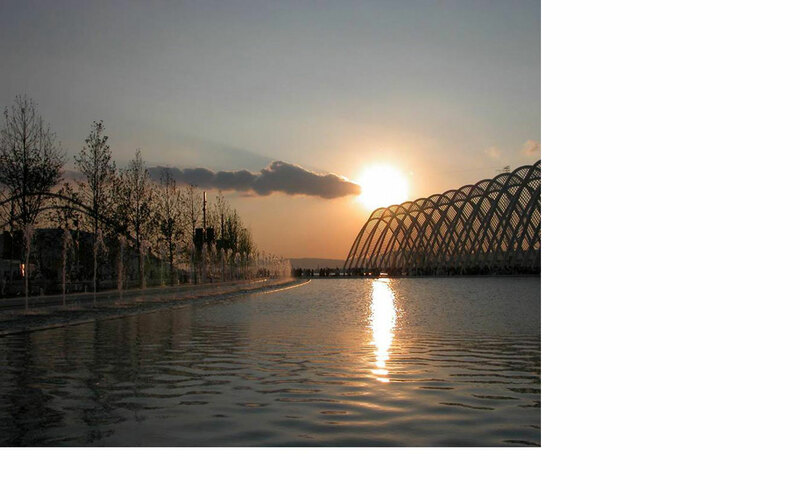 The Spanish Architect Santiago Calatrava, who introduced innovative and creative elements, designed the project. 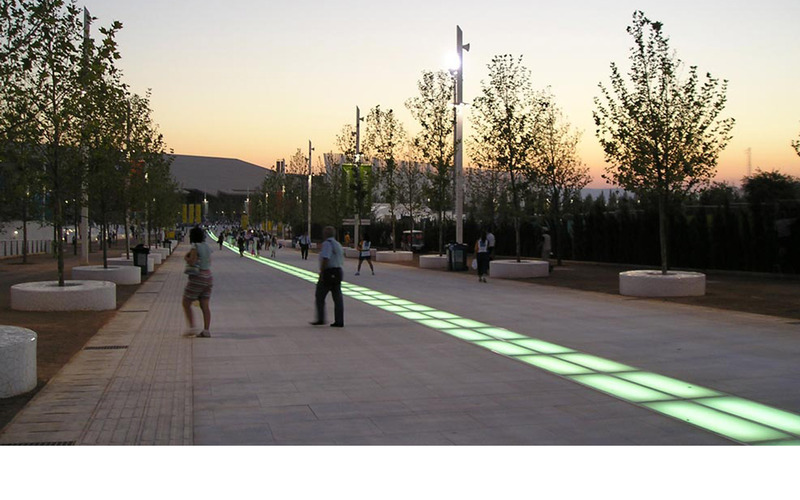 A number of interventions literally transformed the OAKA landscape, which occupies 70 hectares. Marble paths, ponds with water jets, fountains, perimeter roads and outdoor sitting areas have been constructed. 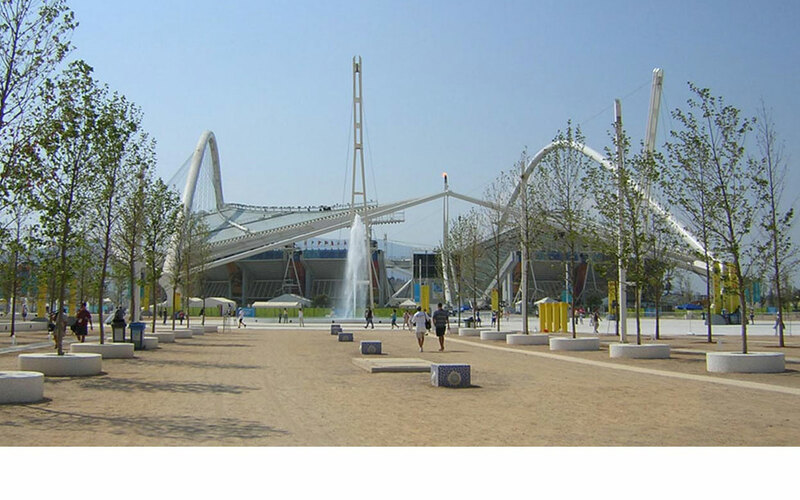 The main entrances are covered by metal, visible from afar domes whereas glass roofs and steel covers the Olympic Stadium and the Velodrome canopies. Impressive metal structures, such as the Agora and the Wall of Nations, are important reference points in space. The whole composition was enhanced with extensive plantings of trees, shrubs and turf surfaces. A large number of high standard trees were planted. In total 3,500 large trees, 250,000 shrubs and 15,000 hedgerows were planted. In the new design, all spaces are connected and are formed in curved and arched shapes as opposed to the existing situation. The trees are a very important tool in the design of the OAKA, forming rows, groups and hedges: they emphasize the design lines, they set space limits, they enhance the entrances, they hide back of house vistas and they offer shade in the outdoor living space. 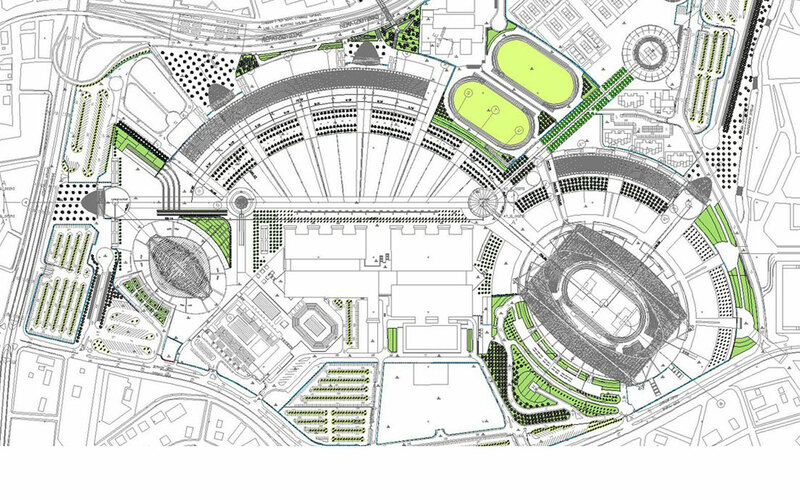 The shrubs were a significant section of the planting design of the OAKA in order to create foci of interest at important - nodal points of the landscape. Large groups of native shrubs of the same species were formed, mainly following curved as well as linear patterns, in complete harmony with the architectural lines and constructions.